Superheroes, super-fit cyclists and the Pink Ladies and T Birds from the hit movie Grease helped HURST to raise nearly £5,000 in a charity challenge. Six teams of staff each undertook an activity for the day to raise money for MedEquip4Kids, HURST’s charity of the year. More than 40 people took part in the activities, including chief executive Tim Potter, partners, managers, and PAs. The 2018 HURST Charity Challenge saw staff dressed as superheroes such as Batman and Superman posing for selfies with members of the public in Stockport town centre. Another team collected old mobile phones and ran a face painting, cake sale and tombola stall in the town centre, while nearby a team ran a raffle. One group offered a car wash and valet service from HURST’s Stockport office car park while another, dressed as Grease characters, washed cars from the premises of HURST clients HMG Paints and Acrobat Carbon Services, in Manchester, Middleton, and Ashton-under-Lyne. 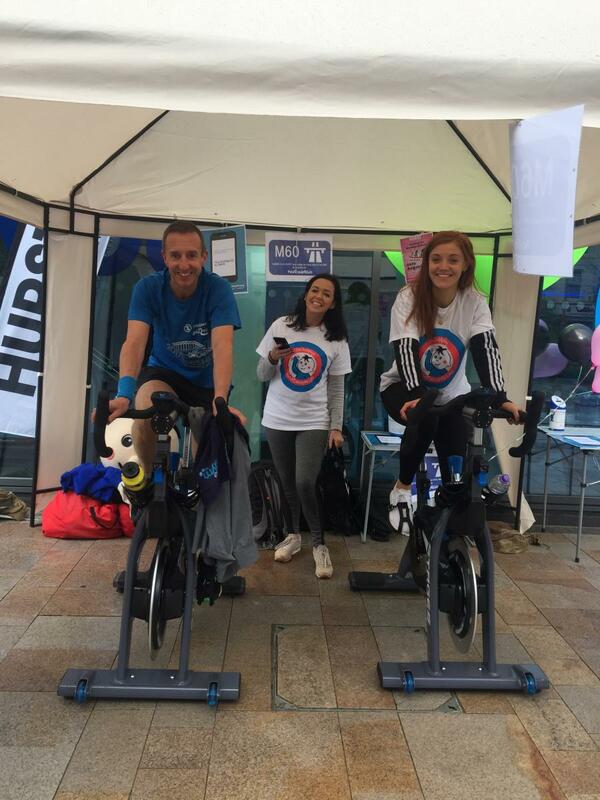 HURST partner Simon Brownbill, the firm’s director of practice development, said: “We’re delighted with the result of our first charity fundraising day of this kind and we are grateful to everyone who supported our teams to help make the event such a huge success. “Along with raising a fantastic amount of money, we were able to get involved with the community and spread the word about the great work that MedEquip4Kids does for our local hospitals." The firm aimed to raise £7,000 this year but has now smashed the target with the total currently at £9,200. A group recently completed the Three Peaks Challenge of climbing the highest peaks in England, Scotland and Wales in under 24 hours, while fundraising events still to come include our annual corporate football tournament. To find out more about our fundraising activities and to support MedEquip4Kids, you can visit our just giving page by clicking here or by using the button below.